The Travel Adapter has 4 USB ports including Type C USB. 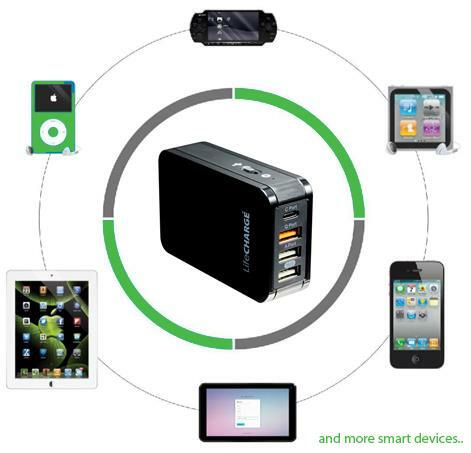 It allows you to charge four devices at the same time. Harness the full power of USB-C technology to charge your device faster. The next generation of USB tech - small reversible connector designed to support a new wave of faster, more efficient power delivery. USB-PD enables compatible devices to charge faster at higher voltages. Charge your USB-C phone at 5V 3A and use the same cable to charge your MacBook or Pixel C Tablet. 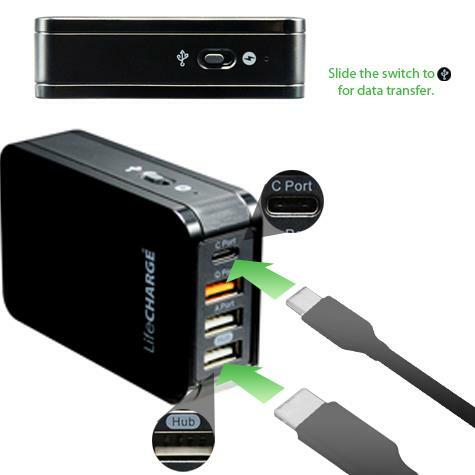 LifeCHARGE Multiport Adapter has the unique feature of data transfer.It allows you to transfer data from one device to another. When switch being slide to the hub it will allow data transfer between two devices connected through Type C port and hub Port. 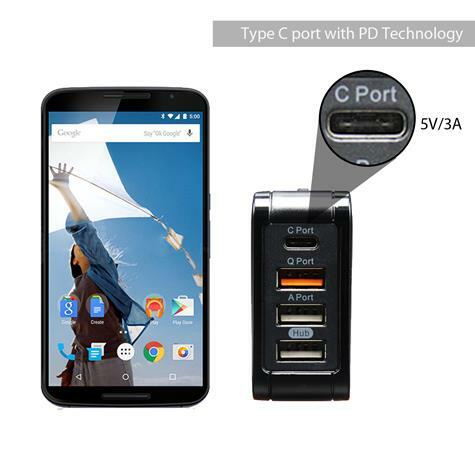 The hub port can support charging at 5V/0.5A-1A. The Travel Adapter has 4 USB port including Type C USB. Its allow you to charge for devices at the same time. The Travel Adapter can compatible with 4 devices at the same time. It is compatible with iPhone, iPad, iPod, Samsung Galaxy, HTC, Android Smartphone, Pads and all other smart devices, power bank. 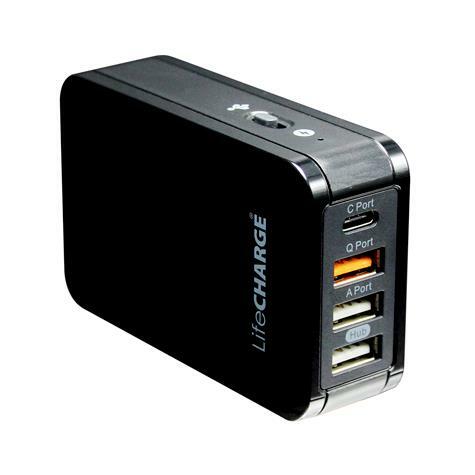 It automatically matches the maximum charging current designed for your device and hence minimizes charging time. 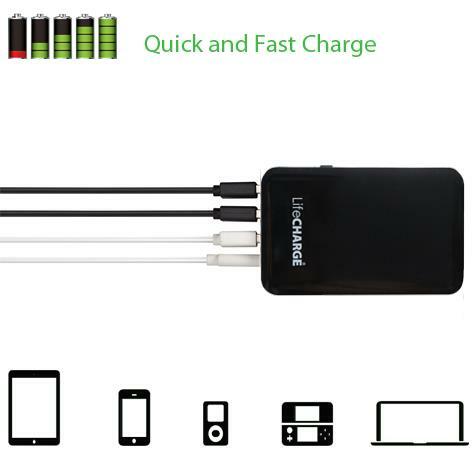 The LifeCHARGE adapter provides a safe, fast and simple charging solution for all smart devices.